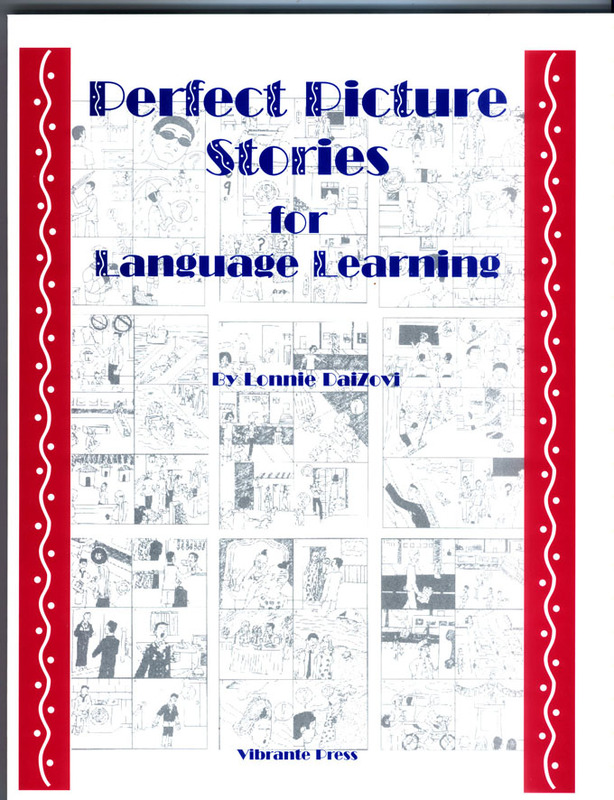 Perfect Picture Stories for Language Learning by Lonnie Dai Zovi is a collection of 36 interesting stories pictured in 6 frames. There are suggested vocabulary lists and stimulus questions for each story in English, Spanish and French, with German available by emailing. These pictures are good for any language. These are very good for listening, conversation and simple or complex writing practice. Perfect Picture Stories for Language Learning are very good for TPRS!